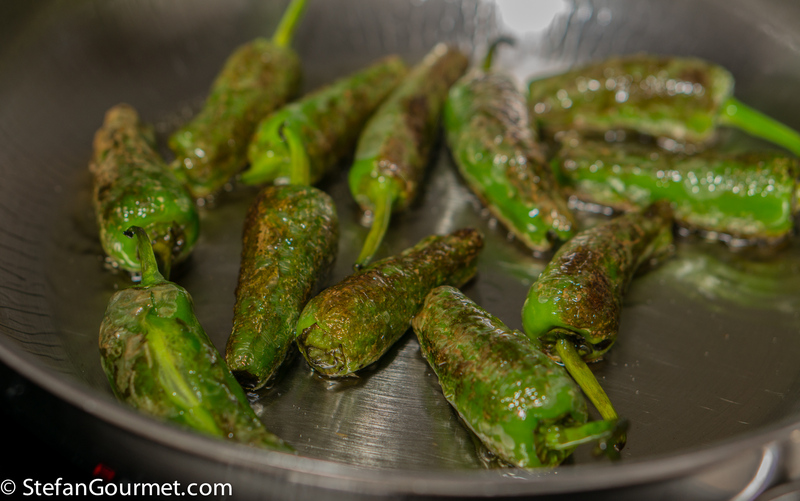 Pimientos de Padrón are green chilli peppers from Spain that are usually mild, but sometimes one of them can be very hot. They are very tasty, a bit like green bell pepper but better. 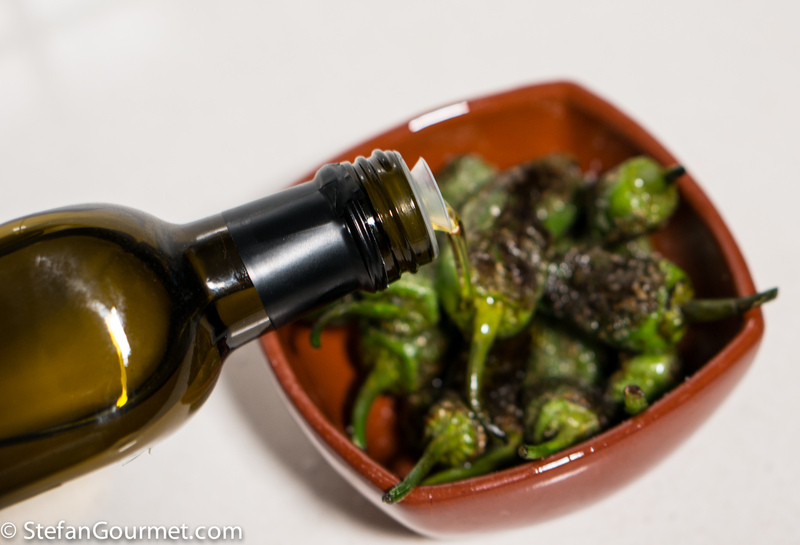 To prepare them, you only need neutral oil with a high smoke point such as grapeseed oil. 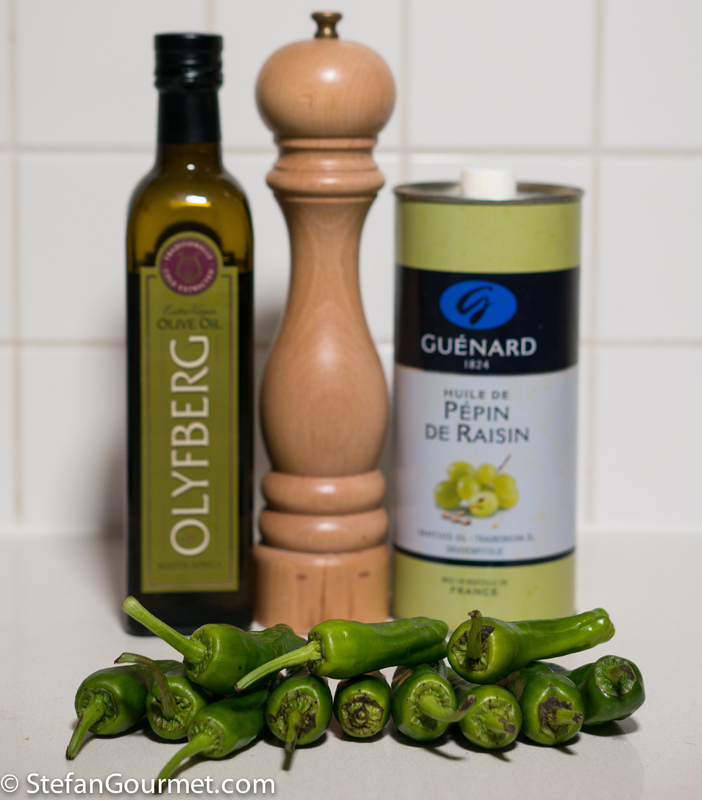 Then serve them with good quality extra virgin olive oil and coarse sea salt. 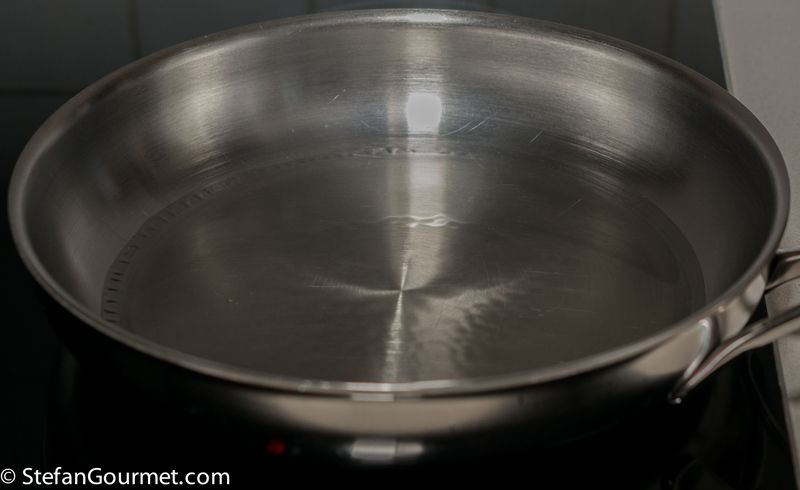 Heat a generous amount of oil in a frying pan until it is smokingly hot. Notice the oil rippling in the pan! It is a waste to use good extra virgin olive oil for this, because at such temperatures the oil would degenerate anyway. 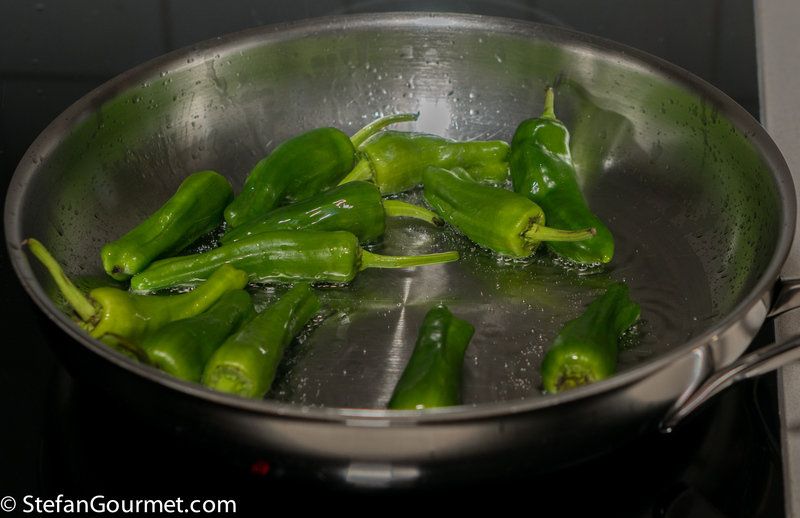 Add the peppers when the oil is very hot. Stir fry them over high heat until they are blistered and brown all over. Allow them to drain on paper towels and blot with paper towels to remove excess oil. Drizzle with good extra virgin olive oil and sprinkle with coarse sea salt. They can be eaten warm or at room temperature. 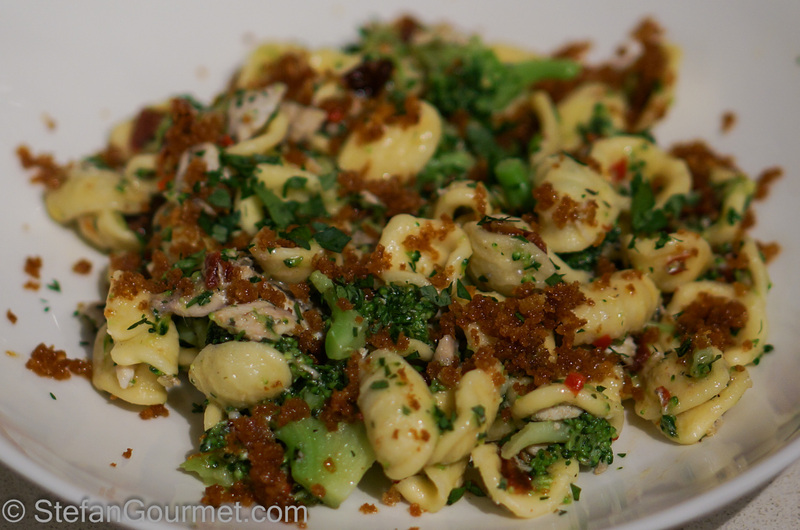 Orecchiete pasta with broccoli, fresh anchovies, sundried tomatoes, crunchy sautéed breadcrumbs, chile pepper, and parsley has loads of flavor and texture. Those sautéed breadcrumbs are a good alternative for cheese (which is ‘forbidden’ on a pasta dish with seafood) as it provides an interesting texture and is a good way to use up stale bread. If you can’t get fresh anchovies, you could substitute with mackerel. Most of the work of this dish is in cleaning the anchovies (which the fish monger will probably refuse to do for you), but it is worth it. Would be perfect for apéro. A note: The reason that one is sometimes very hot is because it was harvested too late. They all get hot if left on the bush too long. Interesting. Mine were store-bought and none of them were very hot. The good growers pick them before they get hot, so your excellent grocery gets them from better sources. A good, but not infallible, indicator is size. In San Francisco farmers’ markets at the end of the season you’ll find larger ones on sale at very attractive prices, but they’re all fiery then. They’re is only one place here that carries them. Ours are a little longer and can also range from mild > noticeably hot. Must try this as I have a habit of eating them raw, slicing on open sandwiches and pita for extra pizzaz or putting them into my many stirfries for a little extra gumption. Thanks for the suggestion!! You’re welcome, milady. The frying enhanced their flavor and brings out some sweetness. Great appetizer idea! I wonder if an equivalent of these are available locally. But probably can’t find anything until pepper season unless I want GMO peppers from Mexico or Southern Cal. I guess you could prepare jalapeños this way. They would of course all be a little hot. I consumed them daily on my short December holiday in Valencia, and brought a bag home with me. I cooked them exactly the same way as you did, and they were heavenly! 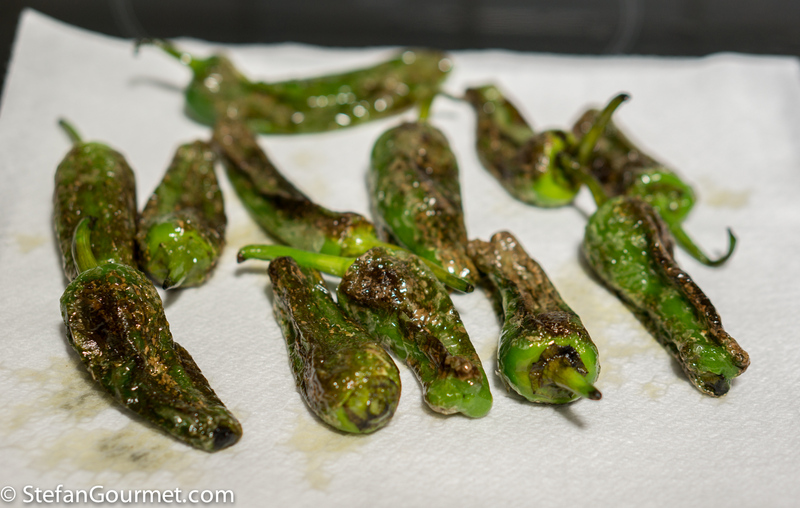 I make these with shishito peppers which similar to the Padron peppers. They taste great as you prepared them with a cracked pepper aioli. I’ve had them many times and never suffered the hot one. I wonder is that an urban legend put about to keep us trying? From the comments it seems that it could be a quality/overripeness thing. 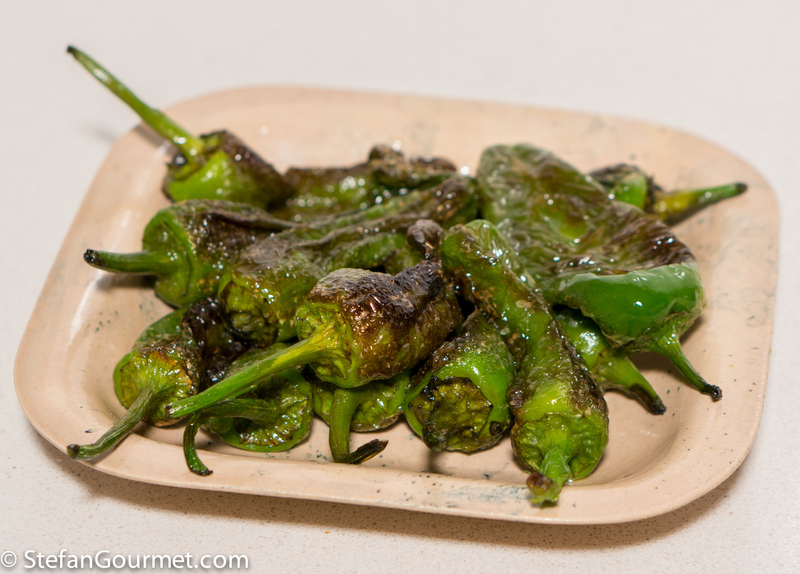 I prepare shishito peppers in a similar way, Stefan. In fact, I’ve a post languishing in my scheduled file just waiting for me to “pull the cord.” I’m sure I can get pardons here at one of our Latino markets and I’d love to see how they compare to the shishitos. I’ll let you know.